Back by popular demand, the 2018 California Nut Festival will feature a lively and fun “Nutty Chef Competition” in the crowd-favorite California Olive Ranch cooking demo area. Festival attendees will be able to sit back and enjoy watching a culinary contest that highlights the ingenuity of three local chefs all competing for the honor of being named the 2018 Nutty Chef. As a part of the friendly contest, each chef will receive 30 minutes to prepare a delightfully delicious dish of their choice in front of the live audience. Each chef will be allowed to bring ingredients of their choice but they will be given a number of secret ingredients that they will need to creatively incorporate into their special dish. After a taste test, a panel of judges will select the winner who will be announced at the festival. Plus, there will be an opportunity for the audience to ask questions of the talented local chefs. Please plan your day to join the fun in this unique and nutty way! Ample seating is available; arrive early, sit back and enjoy the cooking presentations! Executive Chef Jorge Vasquez leads the culinary operations at the OHBees Hive Beestro, which reflects a seasonal living cuisine. 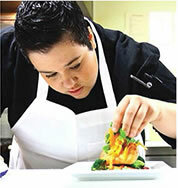 Jorge is a local, graduate of Orland High School and of the California Culinary Institute. 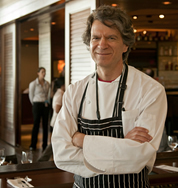 His first job in the restaurant business was working in the kitchen at Sierra Nevada. 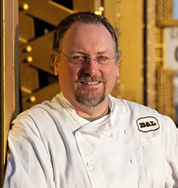 From there, he evolved into being the executive chef at Rawbar then later at Farwood. In his leisure time, Jorge enjoys crafting beer. 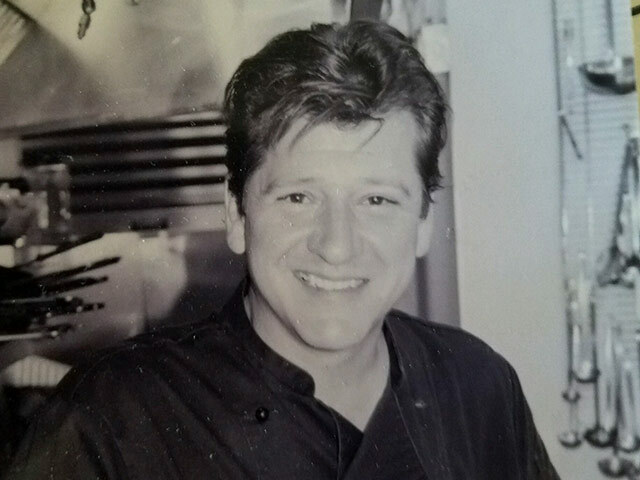 Chef Nathan Johnson has been in the food Industry for over 22 years. He has helped with the opening and menu design of Chico’s wine destination Wine Time as well as opening his own restaurant The Kitchen Table (which closed in 2015). 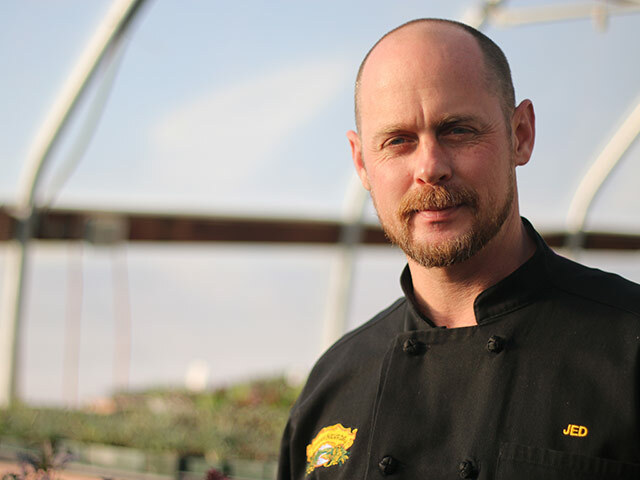 Chef Nathan believes in supporting local farmers and letting local-seasonal ingredients design and inspire menus. 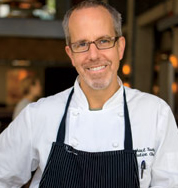 Recently, he has taken over the chef position at Tin Roof Bakery which is focused on using fresh local ingredients with everything being prepared daily by their dedicated and talented culinary team. 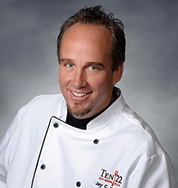 Chef Juan Z. Ramirez began his experience as a cook at the age of 16 and is proficient with many different cuisines. With his classically trained expertise, he has mastered a bit of every cuisine -- Mexican, Italian, East Indian, Asian, classic American and Japanese (his favorite). Chef Juan is head chef at Two Twenty Restaurant, which is located inside the historic Diamond Hotel in downtown Chico, where he uses his passion and culinary artistry to create an extensive line of delicious dishes.